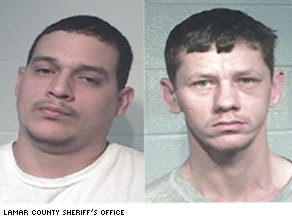 Charles Ryan Crostley (left) and Shannon Finley (right) were arrested for the murder of Brandon McClelland. They pleaded not guilty were found innocent last month. To his loved ones in Paris, Texas, Brandon McClelland was affectionately known as "Big Boy," a 284-pound gentle giant. He was a devoted family man—babysitting his little cousins, caring for his mother after she suffered a stroke and a heart attack, cooking up dishes of "Mexican spaghetti" for his disabled grandmother. He had a large circle of friends and regularly invited them over to play dominoes and to barbecue in the front yard. He always looked out for them, making sure the ones who had a little too much to drink got home safely. Though he was African-American, he didn't pay much attention to race. He had acquaintances of all colors, and, in fact, his best friend was a white girl he met at church. I am a native of Paris, TX; born and raised there, but do not live there now and I can tell you it has always been a racial hot bed. It is even worse now as people from China, Iran, Iraq, (the entire Middle East) and Mexico, move in for exploitation of the local people. CNN has become White guilt central. You should be aware of how ridiculous the expression "hate-filled places" sounds, Annie Kate. Would you consider the possibility that any of the approximately 2 million black-on-white crimes committed each year - the vast majority of all interracial crimes - are the result of "hate"? Its horrible how they killed that man whether it be racially motivated or not – to hit him with a truck and drag him 30 or 40 feet is ghastly. The other cases related sound pretty racially motivated. If there was a top ten list of hate-filled places in America Paris, TX would surely be on that list somewhere near the top.